A little known architectural practice based in Glasgow at 65 West Regent Street; founded in 1906 by Thomas Dykes (1853-29) and Hugh Dale (1872-1912). Dykes had trained in Dundee with Edward & Robertson, 1869-74, and set up his own practice in Glasgow in 1880. He formed a partnership with T S Robertson in the 1890s, as Dykes & Robertson. They won second place in the competition for the design of Govan Town Hall (1898) and exhibited a design for a school at Bridge of Weir at the RGIFA in 1899. After the partnership was dissolved, Dykes took Dale as his partner in 1906. Dale had studied at GSA and the Glasgow and West of Scotland Technical College (now University of Strathclyde), and had been a pupil and assistant to H E Clifford in Glasgow, 1887-1906, before joining Dykes. 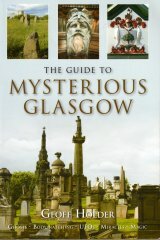 One of Dykes & Dale�s first commissions was for the monument in the Necropolis to William Paterson, the Chief Officer of Glasgow�s Fire Brigade from 1884-1906 (1906, section: Sextus). This is Classical in style, large-scale and plain, except for a shield at its base carved with a relief of a fireman�s helmet above crossed axes, and the name Paterson on its base. The architects� names are inscribed on a pall stone at the left of the monument, and its sculptor�s name was probably inscribed on the now missing stone to its right. The style and quality of the granite monument suggests Robert Gray as its most likely sculptor. Both architects lived in Mount Florida in Glasgow�s south side; Dykes at 1 Rochdale Place, Sommerville Drive, and Dale at 36 Third Avenue, King�s Park. In 1911, both were proposed as Licentiates of the Royal Institue of British Architects by John Bennie Wilson and the Glasgow Institute of Architects.